International art-exhibition with 65 emerging artists on 5 different locations in Landshut, Germany. Each location had its own sub-theme: like Climate-change, Migration, Human Rights, Visions and Chatbox. 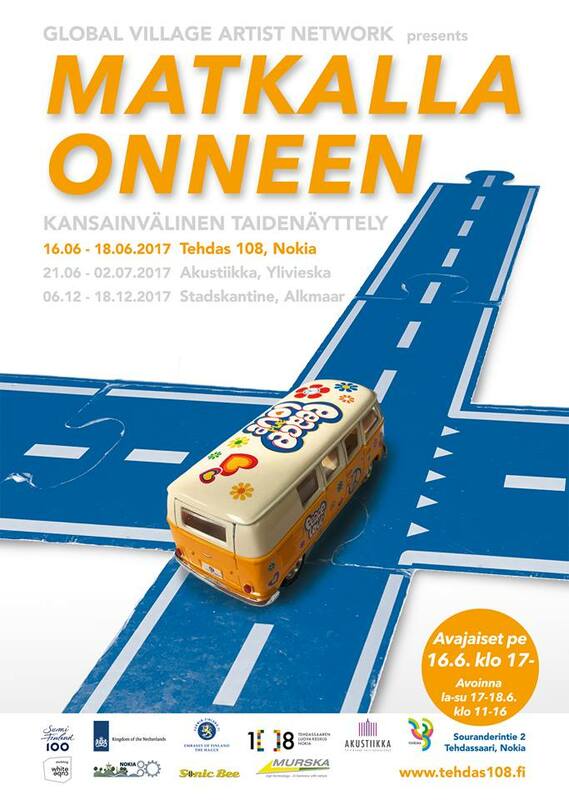 In frame of 100 years of Finland’s Independance a travelling exhibition with 20 artists from South to North-Finland with a final show in the Netherlands. Art exhibition that aims to promote European collaboration at the start of the Aachen Charlemagne-year in January 2014.